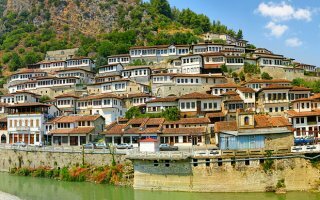 Albania is a small nation situated in south-eastern Europe on the Balkan Peninsula. Agriculture represents the backbone of the country's economy favoring the booming of industrial and tourism sectors. Today Albania is the hub of investment of global giants like Vodafone, Japan Tobacco, Australia Drillsearch etc. The country is also considered to be an important player on the European spice and medicinal herb market, exporting sage, yellow gentian or rosemary worldwide. Other huge exports also include textiles and metal industries, fuels and lubricants, leather products, raw materials, machinery and food. In 2000 Albania joined the World Trade Organization and is committed to reducing tariffs on imports and trade liberalization. What to export from Albania? And why doing business in this country? Exports of Albania are principally driven by three industries: energy, clothing and apparel, and construction. Albanian textile and clothing companieshave been making export progress in recent years, growing steadily at 9% annually. The country has also no restriction on capital movement and is characterized by one of the most competitive tax rates in the region. Export Portal allows you to search over thousands of trusted suppliers, wholesalers, manufacturers, sellers, exporters, importers from Albania covering the entire range of products and services available in the country. Connect with Albanian manufacturers of medicinal herbs and suppliers of medicinal herbs, business partners and buyers. Export Portal helps you find trade directory of top rated wholesale Apparel, Clothing & Fashion Albania suppliers and exporters you can trust. Albania is a beautiful country with a fascinating history and culture dating back thousand of years. It is noteworthy that the country's economy is focused on imports for most of its consumption. In the last few years, Albania's imports have registered a considerable growth of more than 25%. The top imports include high value added products such as metals, vehicles, machinery and equipment, means of transport, raw materials and foodstuff. Albania's leading suppliers are Italy, Greece, Kosovo, China, Germany, Turkey and Bulgaria. In 2013, the EU became Albania's main trading partner, making up more than 65% of Albanian imports and 70% of Albanian exports. Albania enjoys a liberal trade regime. Beginning with 2006, most of the agricultural and industrial products that originate from EU countries faced a zero tariff rate. The maximum rate of 15 % is applied to the following products: textiles, jewelry, and some luxury food products. Looking to tap global markets to buy or sell products? Finding and contacting Albanian Importers and Exporters is getting easier with Export Portal. Export Portal promotes Albanian products to the US and overseas markets. Meet top rated and verified manufacturers and suppliers from Albania to get the latest sell offers. Albania applies a market-liberal regime. Foreign trade has been liberalized since 1990 and follows the standards set by the European Union and the World Trade Organization. Albania is a member of the WTO since 2000 and applying WTO regime on import licensing procedures. On April 1, 2009 came into force the Stabilisation and Association Agreement (SAA) with the EU which is considered as the Free Trade Agreement between Albania and the EU. As a result of market liberalization and the ongoing alignment of customs regulatory framework with EU system standards, exports of goods are not subject to any special export tax, fee or other barriers. Also, imports of goods not subject to any tax liability except import duty. Imports of goods (Export) from the Republic of Albania is free, without any restrictive measure, national quotas, prohibitions or restrictions or other tariff and non-tariff barriers. In addition Albanian exports are exempt from VAT (0% VAT rate). VAT is assessed, applied and paid on the import of goods as if the value added tax were a custom duty. As such, VAT on imports is paid at the moment goods enter the Albanian customs territory. The VAT rate is 20% of the taxable value. The taxable value includes the purchase price plus transport and insurance payments made until the moment goods enter the Albanian custom territory. Tariffs, taxes and other export – import duties paid until this moment are also included in the taxable value. The Generalized System of Preferences (GSP) is a US trade program designed to promote economic growth in developing countries by providing preferential duty-free entry of up to 3,500 products from 128 countries including Albania. 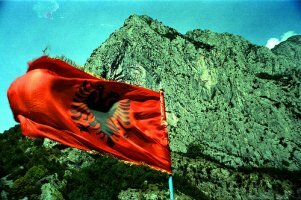 Albania is a country that can benefit by this system and more products like vegetables and processed fruit, mineral water, medicinal plants, spices and many other minerals produced and processed in the country, are in the list of products that can be exported to America with preferential duty free treatment. Allows the importation or release of goods into free circulation within the territory of Albania. Products set under such a regime are subject to all trade policy measures, such as custom duties and other related payments. Value Added Tax (VAT) on imports is paid at the moment goods enter the Albanian customs territory. The VAT rate is 20% of the taxable value. For machinery and equipment imported for investment in production, construction, transport, telecommunications industries and in the Albanian Power Corporation (KESH) a VAT deferral payment system is applied. Payment must be processed within 6 months from the day of importation. Under this regime, non-Albanian goods destined for re-export can be used in the Albanian customs territory as completely or partially exempted from import duties and any trade policy measures, providing that they are not experiencing any alteration except depreciation. The maximum period for goods to be held under such regime is one year. After this period they should be re-exported. The amount of custom duties that are liable to be paid in this case is 3% of the total duties that would be paid for these goods. This sum is payable every month that the goods are placed under such a regime. Customs duty rate is zero for most of machinery and equipment commodity code. This regime allows goods to be imported from outside Albania for processing operations which change their nature or state without being subject to import duties or other trade policy measures. Duty becomes payable when the finished product is put in free circulation. The duty is then payable on the finished product as if it had been imported directly. Inward processing regime covers foreign goods that undergo operations of transformation or processing on Albania’s customs territory without the application of measures of economic policy. Albanian products are allowed to be exported temporarily outside the Albanian customs territory so that they can be processed. Products are considered to have the status of temporary storage from the moment they are present in the customs office until the time that they leave for their onward destination. Such goods are held in specific areas approved by the customs authorities. Products are considered to have the status warehouse regime the moment they are present in the customs office until the time that they leave within 1 year from the first day of registration. Such goods are held in specific areas approved by the customs authorities. Transit of goods and vehicles covers the movement of goods and/or vehicles between foreign countries through the territory of Albania without the application of economic policy measures. Goods transported through the territory of Albania are exempt from customs duty, VAT, and excise taxes. This is applied on all the Albanian products destined for exportation outside the Albanian customs territory. Exports are exempt from VAT (VAT rate 0%). Exporters can benefit from a VAT credit for purchases made on behalf of their exports. Overall, if the tax credit for a taxation period is higher than the VAT applied in that period, taxpayers have the right to use the credit surplus for the following taxable period. Taxable persons have the right to request a reimbursement of the credit surplus when they have a taxable credit amount over 3 months and when this credit is higher than ALL 400 000.